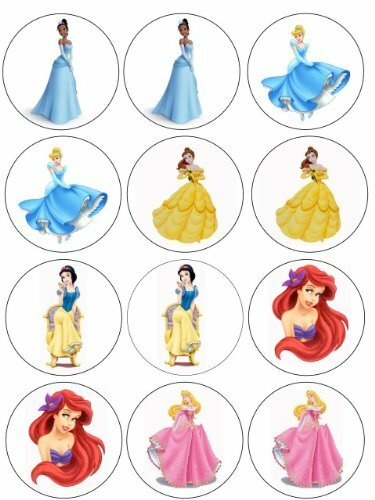 These ready-to-use Disney princess icing decorations are a quick and easy way to add a touch of Fairytale to any cupcake, cake or party desserts. 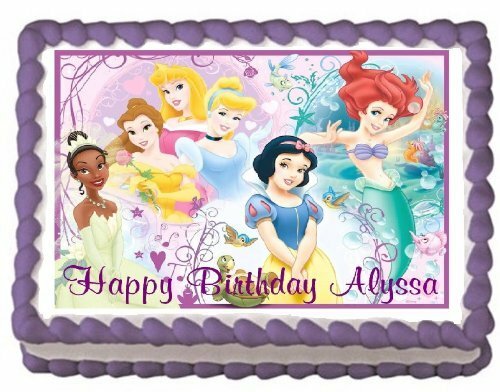 Edible decorations dress up any ordinary sweet treat, inspired by your favorite Disney Princesses. A fast and simply way to add to your birthdays and occasions. Just peel the back off of your edible image and lay flat on your previously frosted cake. Watch as it absorbs and creates a brillant design that both children and adults will love. 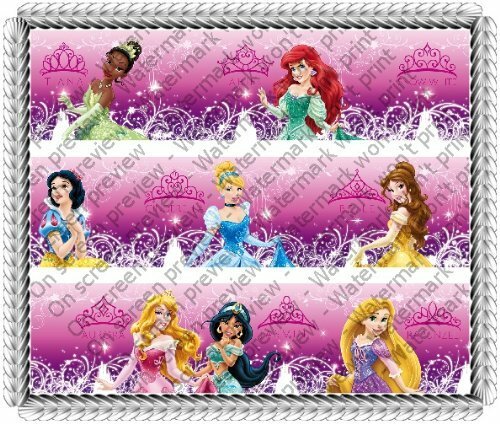 Includes a customized message or can be left blank (please specify)... Please be sure to specify the EXACT text that you want printed on your topper should you wish to customize. Printed on high quality edible icing paper (not wafer or rice paper) using high quality edible ink, also certified kosher. Instructions for placement on cake are included. You may store your image, laying flat, up to one year in a sealed Ziploc bag. DO NOT REFRIGERATE. DON'T FORGET YOUR CO-ORDINATING BALLOONS! 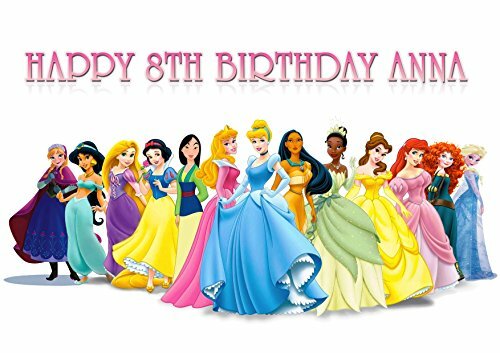 Please note: Characters in these images are free. You are paying for our services in creating, customizing, and printing them in edible paper for your own personal use. 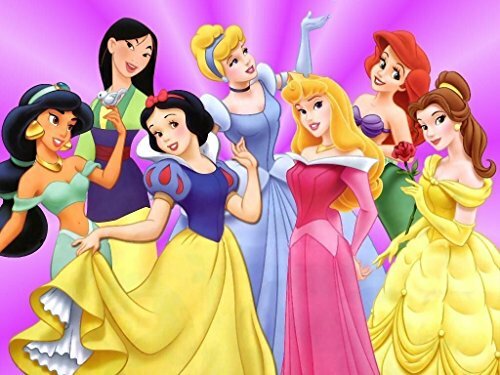 Images remain property of their respective copyright holders and may not be resold. 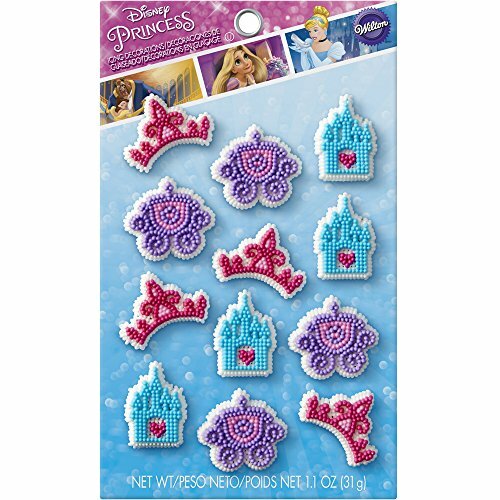 Decorate cakes, cupcakes and other treats with our Disney Princess Icing Decorations! 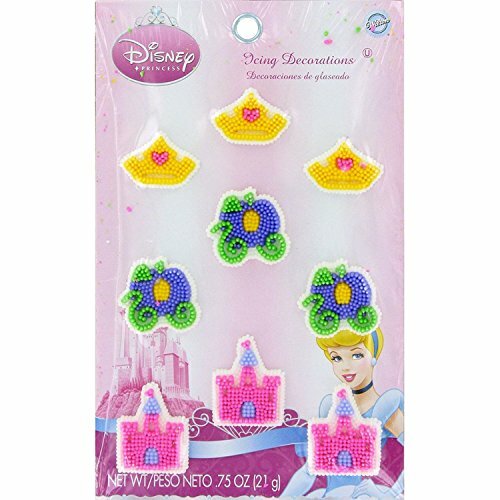 Features Disney Princess inspired icing decorations. Also, features how to use instructions. Includes 9 icing decorations per package. 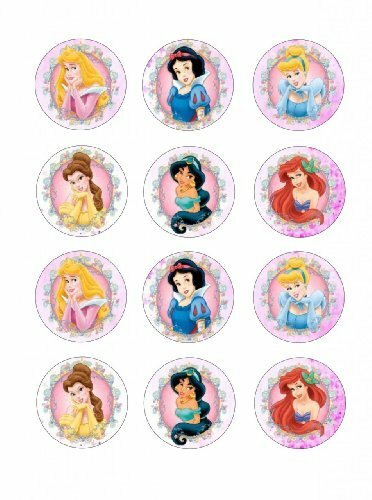 1 X Disney Princess Glamour Designer Prints ~ Edible Image Icing Cake Topper ~ New!!! 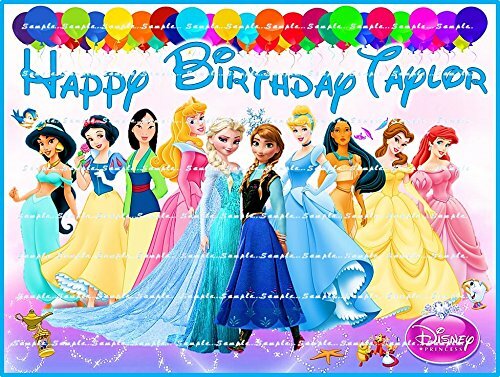 Disney Princess 1/4 Sheet Edible Photo Birthday Cake Topper Frosting Sheet Personalized!